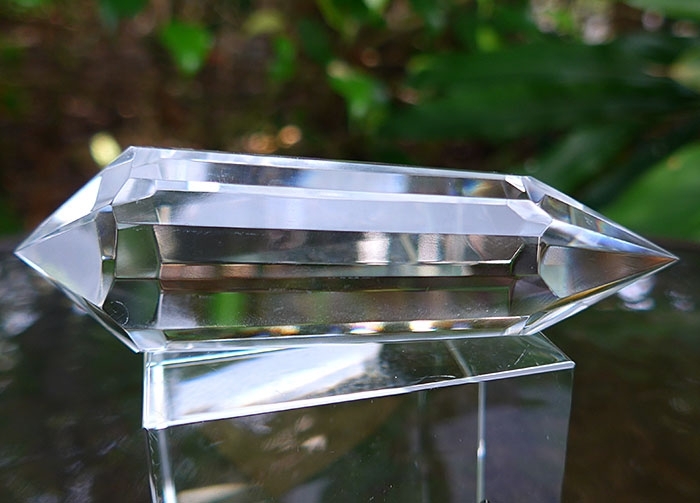 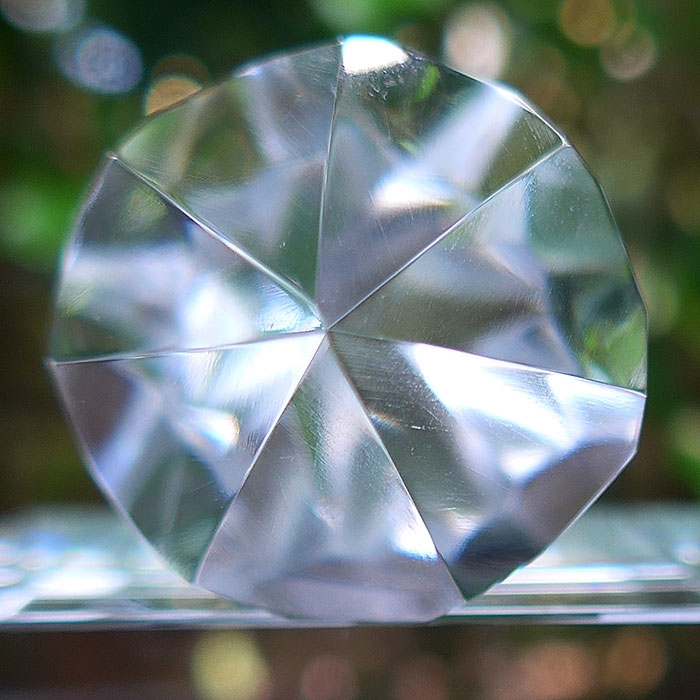 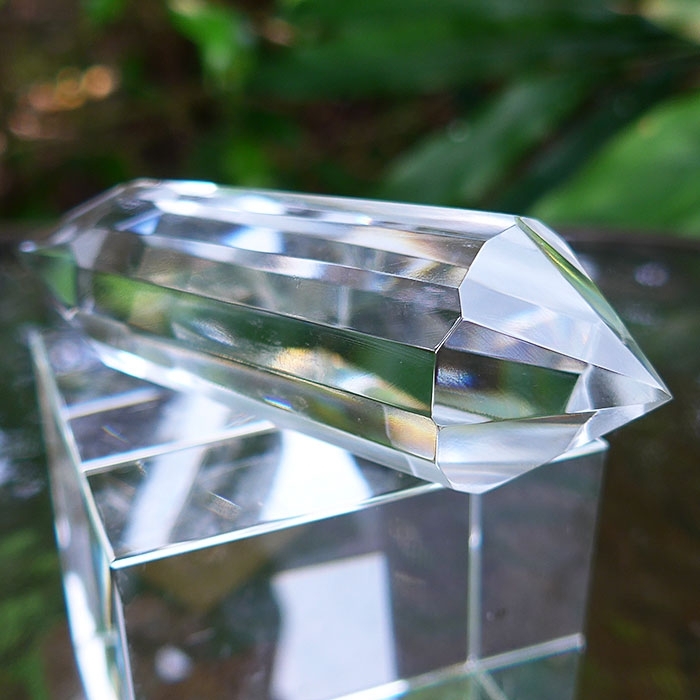 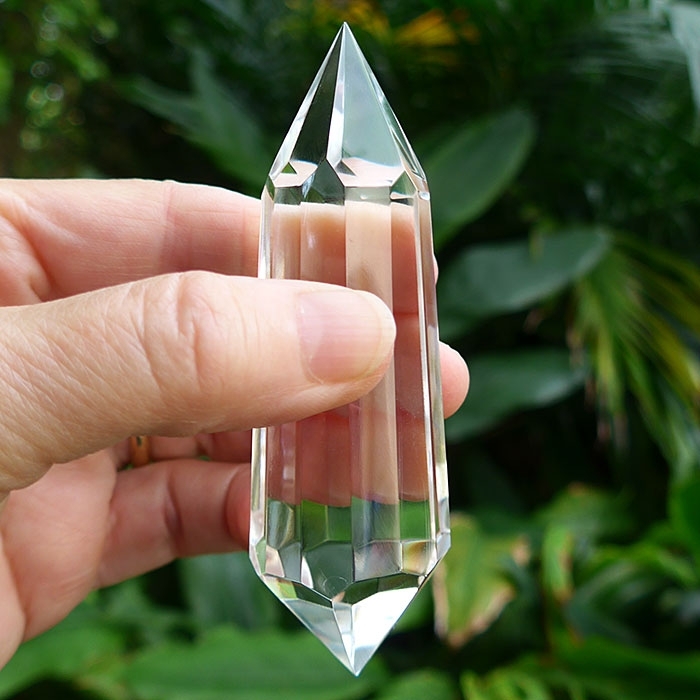 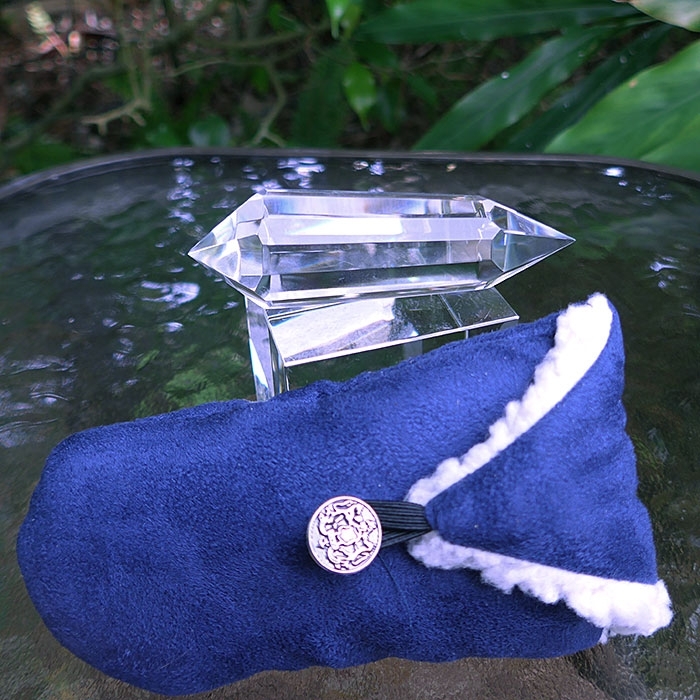 Dimensions (HxWxD): 4" x 1.125" x 1"
This Extra Large Water Clear 14 Sided Vogel Wand, created by Brazilian Master-cutter and crystal healer Ray Pinto, is 4 inches long and weighs 3.9 ounces, or 110 grams. 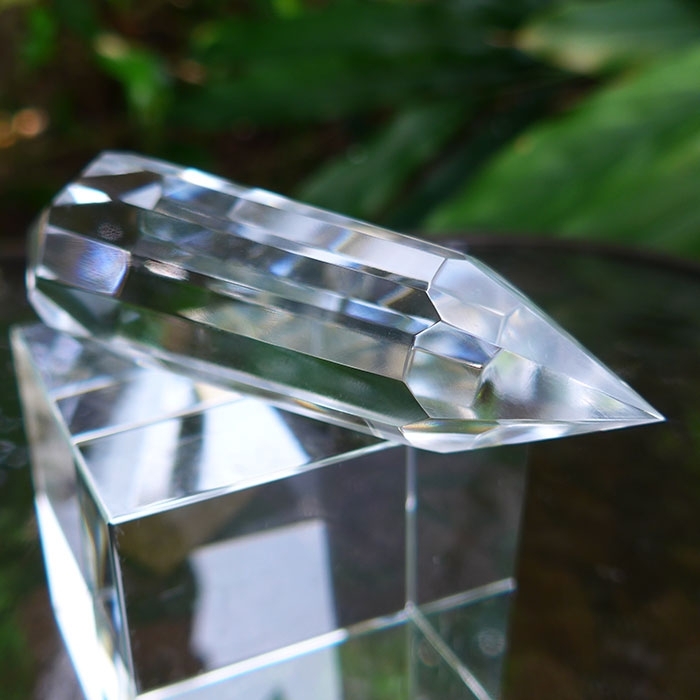 Weight above is shipping weight. 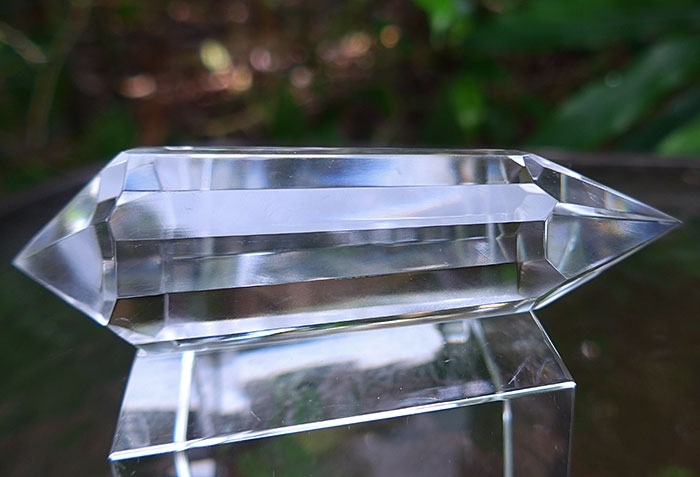 Net weight of Vogel cut wand is 110 grams or 3.9 ounces.